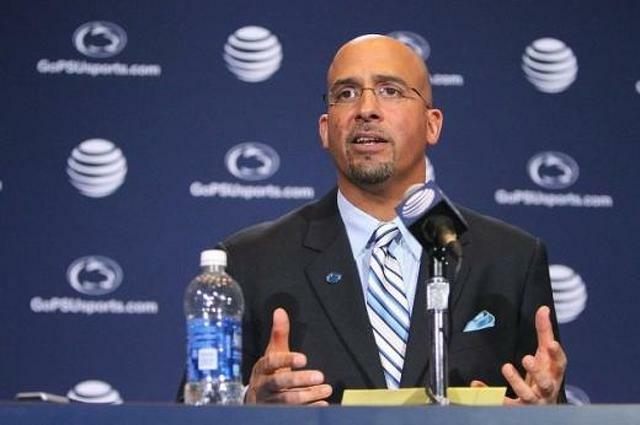 Coming off of a much needed victory over Indiana this past weekend James Franklin is looking to pick up win No. 6 on the season this weekend in Beaver Stadium. More importantly a win over Temple would makes the Nittany Lions bowl eligible for the first time in the post sanction era. It hasn't always been pretty football for the Nittany Lions but a trip to a bowl could make up for a lot of hard times for this particular roster. James Franklin will speak to the media today at 12:45 p.m., follow along here for some notes and bullet points from his weekly news conference at Beaver Stadium. -Franklin is happy with how Penn State was able to keep Indiana from having explosive plays which was something the Hoosiers have been good at. -Franklin with a thank you to the armed forces, notes that he is the product of a military family. Father stationed in Manchester, England where he met Franklin's mother. - Says that Temple is a team that can score on defense, 6 defensive scores which is a high mark compared to how Penn State hadn't had one in years until Zettel's pick-6. -Temple defense is a tough unit to play against according to Franklin. A solid scoring defense that ranks in Top 15 nationally. Franklin also notes that Temple has blocked 4 kicks this year. -Franklin is happy with how Miles Dieffenbach has played in his returning role but thinks they could get him more and more involved as the final few games role along. - "I think good" Franklin says of how Geno Lewis has responded following a meeting with Franklin he had a few weeks ago. Says that team-wide consistency on any given play has been an issue for Penn State this season. -Franklin says that even with a limited senior class that they have made a big impact. That he would love to have 30 seniors but the guys they do have are important and having fewer of them has made their role even more important. -Franklin says that he hasn't been surprised with how the defense has played this year. Felt confident in them to start the year. 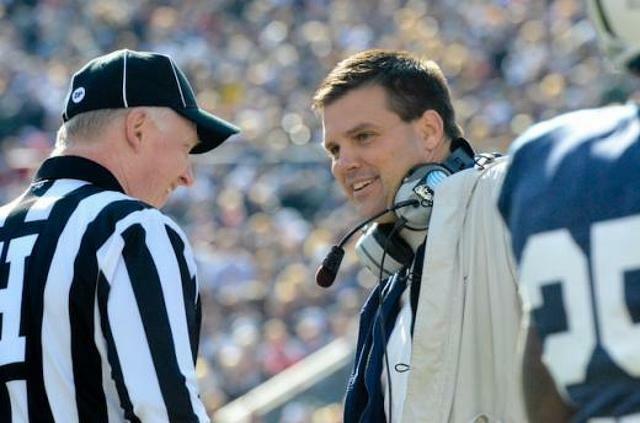 -No added energy or focus this week because Penn State can become bowl eligible this week. "Focused on being 1-0, focused on Temple"
-Franklin wants LT Donovan Smith to play this weekend but hasn't gotten the okay from the doctors yet. A day-to-day type deal but needs practice reps before Franklin lets him play again even if he is given the ok by doctors on Friday. -You'd love to have a balance, you'd love to have a class of young guys working into the mix. There isn't any doubt that veteran experience helps though. -I want us to be aggressive, Franklin on kick returns, says that good returns look like good decisions and bad returns look like bad decisions. Skill becomes learning to see those decisions ahead of time while still being confident and aggressive. -Reps, game reps. Keys for getting punters more and more confident and more and more productive. Have gone away from directional kicking and focused more on distance which hadn't been the case earlier in the year. -Redzone: "You have to score with your man" Franklin says about blocking guys into the endzone on the goal line. -"I honestly think we are." Franklin says of how the team has improved since Ohio State game despite looking like maybe it hasn't. Says that he'll admit that the crowd and the setting helped against Ohio State as well. -Franklin doesn't think that having a roster of players he didn't recruit really makes a difference "Unless I had a team that had only played the wishbone"
-Franklin says that seeing progress isn't always obvious but that he sees a lot of what is going on behind the scenes and knows what is going on and feels like the program is headed in the right direction. -"If you have answers please email them to me." The NCAA and Penn State agree on something - both parties want the lawsuit against them in Centre County Court dismissed.